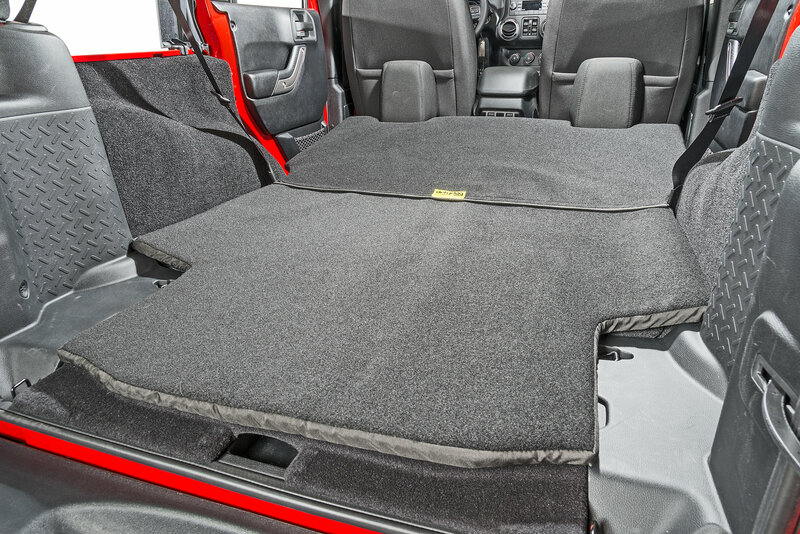 The 2-Piece rear Crash Pad by Dirtydog is designed for being a comfortable place to lay while on an overnight getaway, or for pets who are a welcome addition on any trail ride or daily drive. 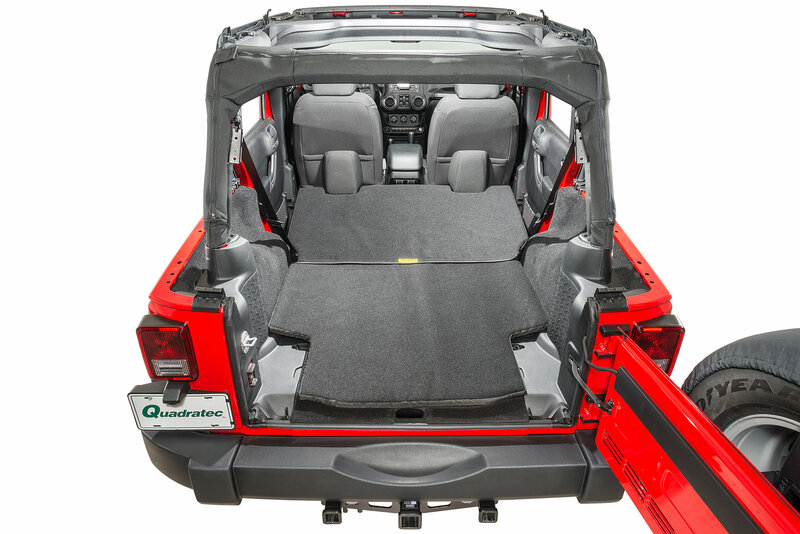 The pad also provides extra protection for the rear cargo area, which is essential for storing important gear with the rear seat removed. 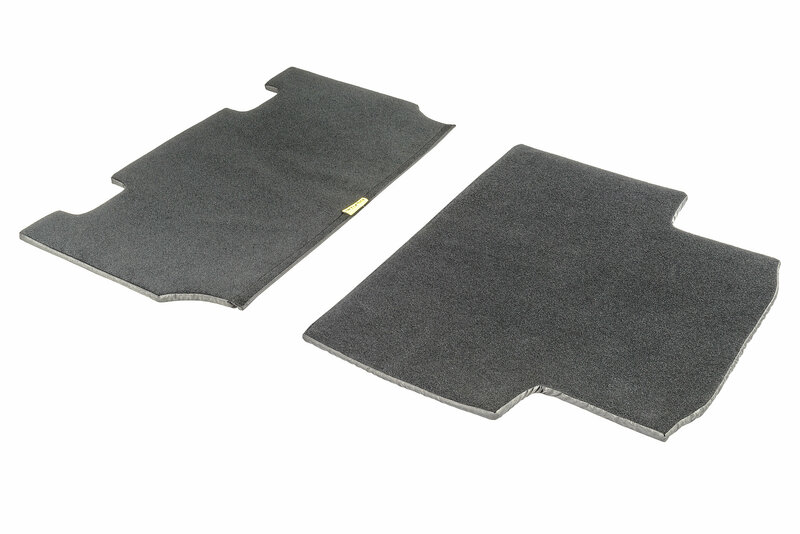 Designed to match all Jeep interiors, the pad is reversible with a plush carpet on one side and easy to clean durable vinyl on the other side. The interior of the pad is made up of one inch memory foam which will provide a comfortable spot for pets to hang out. Available in gray color. This is a nice piece of equipment. 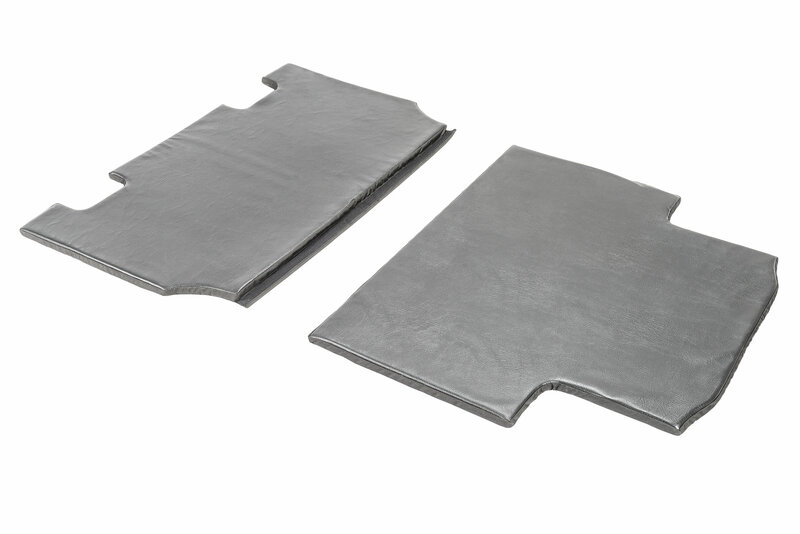 We use it along with the trench cover to make it a safer, more comfortable place for our dogs to be while traveling. Also used it while camping and it was a back saver. A little pricey, but worth it.